he petition demanding a second referendum on Britain's EU membership is under investigation by authorities over allegations of fraud, it emerged today. Thousands of signatures were found to have been from overseas, which is illegal for petitions posted on the Government website. The move has been backed by more than 3.3million names - a record for petitions on the Parliament website - forcing MPs to consider the proposals for a re-run. It also emerged today that the founder of the petition, which demands a re-count of the referendum because turnout was less than 75 per cent and the margin of victory was smaller than 20 per cent, is a Brexit supporter. William Oliver Healey, a final year student at De Montfort University, set up the petition in case the Leave campaign lost by s slim margin but ironically it was hijacked by Remain supporters after Thursday's 4 per cent win for Brexit. However, among the backers are people in the United States, Germany, France and even Syria. More than 40,000 signatures come from people who said they live in Vatican City - a tiny state with just 800 residents. Civil servants are now investigating allegations of fraudulent sign-ups. Lessons have been learned !! The Vatican City is home to 40 ,000 Muslims ???????????? it was set up by the english democrats in april. 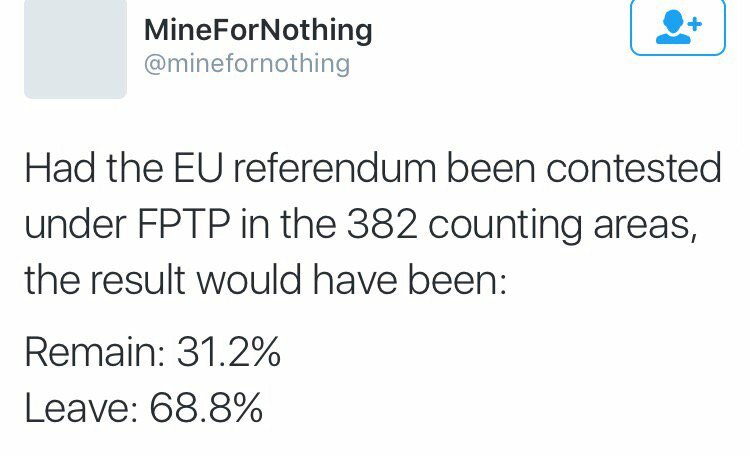 it had 22 voted before the referendum. it is not about about a second referendum at all, not only are #generationsnowflake too lazy to vote, they are too stupid to read what they sign. @Flap Zappa wrote: it was set up by the english democrats in april. it had 22 voted before the referendum. it is not about about a second referendum at all, not only are #generationsnowflake too lazy to vote, they are too stupid to read what they sign. Successfully dumbed-down by "bliar's edjucation"
Vote rigging is the Socialist way. @wyatt1 wrote: he petition demanding a second referendum on Britain's EU membership is under investigation by authorities over allegations of fraud, it emerged today.